In August 2013, an excavation contractor spread a layer of crushed stone to prepare for our planned slab foundation. Our one-acre lot in the White Mountain region of New Hampshire was undeveloped when we purchased it in 2012. Image Credit: All photos: Brian Post Septic system plan. An early version of the building plans. Felling trees in late 2012. Our driveway went in in July 2013. After gravel was installed and graded, the new driveway was passable by Subaru. Editor’s note: This is the first in a series of blogs chronicling the design and construction of a house owned by Brian Post and Kyra Salancy. 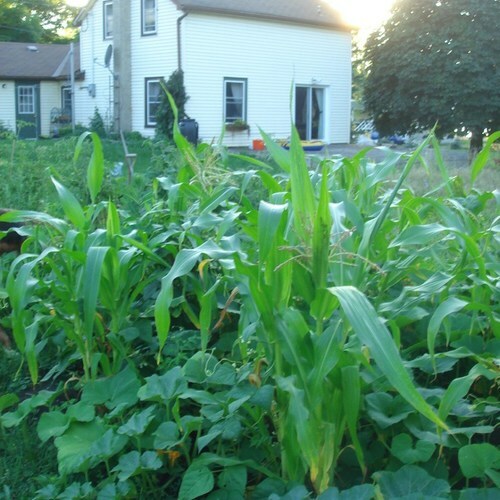 In late April of 2012, I signed a purchase agreement on a one-acre lot in the small town of Jackson, New Hampshire. Much of Jackson is bordered by the White Mountain National Forest. The lot is located in a quiet residential area next to Black Mountain Ski Area at an elevation of 1,400 feet. The lot has some drawbacks such as an abundance of rock and exposed ledge, but is relatively flat (for Jackson) and has great southern exposure. Like the rest of New England, Jackson experiences the classic four seasons, with cold and snowy winters often being the topic of discussion. For any weather geeks out there, the Mount Washington Observatory has a permanent weather station on the summit of its namesake mountain. This is located 10 miles northwest of the lot. One of the terms of the purchase agreement allowed me to apply for an approved septic system design from the state of New Hampshire before closing. Theoretically, this would mean that a standard septic system could be installed and the lot could be built on. I hired a local company to survey the lot, design a septic plan, and apply for approval from the state. The first step involved getting a small excavator on the land to dig test pits. The initial pits confirmed that the soil is shallow (2 feet or less to ledge), but the operator found deeper soil (4 feet+) in a flatter area towards the back of the lot. 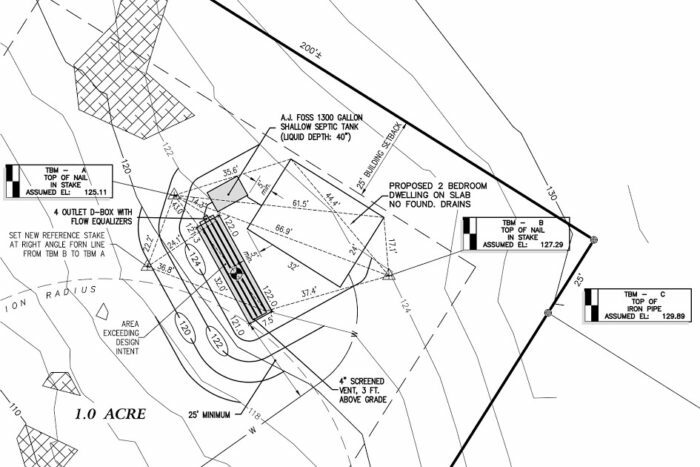 The design and approval process stretched out over the summer of 2012, but the design was finally approved and I closed on the lot in early September (see Image #2, below). My girlfriend (now wife), Kyra, and I started to think about building. She was living in Portland, Maine, at the time and was spending many weekends at the house I was renting in Jackson. At the time, I thought that energy-efficient building meant going with fiberglass-insulated 2×6 walls instead of 2×4 walls. The GBA community should take note of this, because those of us engrossed in building science talk need to remember the knowledge level of the general public. While we had no building experience, the concept of a small energy-efficient house was on our minds. 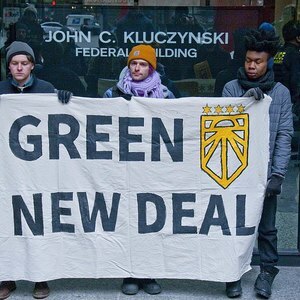 Aside from being outdoorsy people who are concerned with environmental issues, I’m sure that the energy efficiency theme arose in part because of the drafty and cold house I was renting at the time. 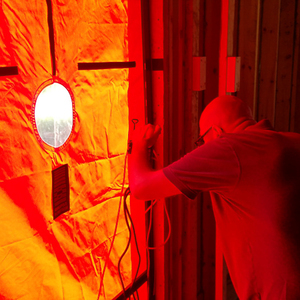 Our initial building discussions included everything from a temporary yurt to kit homes. I remember the breakthrough came when I typed something along the lines of “small energy efficient building in cold climates” into Google. 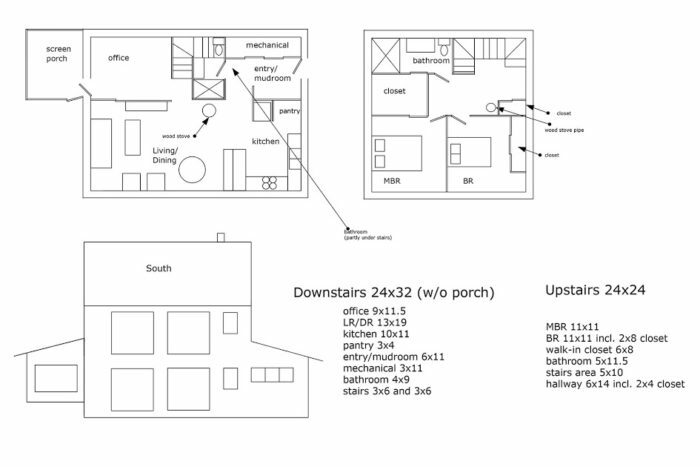 I stumbled upon the GO Home Passive House from GO Logic. That was it — that was along the lines of what we wanted. 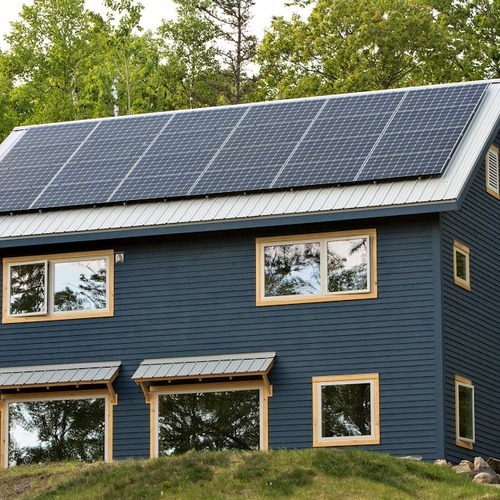 This discovery led to research via books, online forums (including GBA), blogs, architect and builder websites, the Passive House movement, the “net zero” concept, house visits, and more. With our new knowledge and an idea of what we wanted to build, we connected with a friend and local builder. He had just completed a really nice house that incorporated continuous exterior insulation, solid construction, an HRV, a PV array, and more. We had rough plans, a budget, and were on schedule to break ground after the spring road weight limits were lifted (see Image #3, below). During the fall of 2012 and the winter that followed, we spent time up at the lot cutting down trees, burning brush, and marking the house footprint (see Image #4). 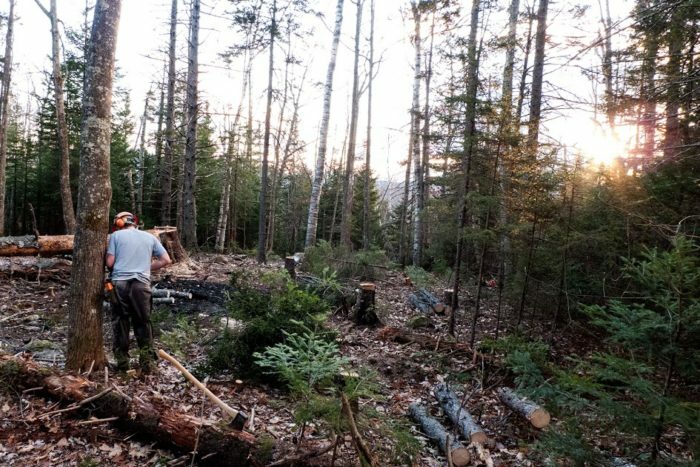 Taking Down Trees – 11/09/2012 from Brian Post. I knew that building a house would be challenging, but our first significant issue arose while the lot was still just a pile of felled trees. Approximately one week before we expected to break ground and with no warning, our friend and builder called to let us know that he wasn’t comfortable working on our house build anymore. 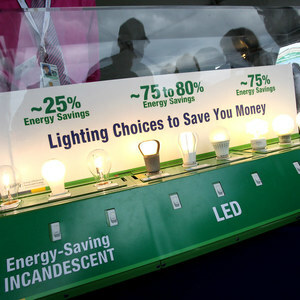 It was related to the budget and our desire to push energy efficiency goals towards the net zero house concept. It’s also possible he thought we would be too high-maintenance because we were getting so invested in the project from a building science perspective. There was an opportunity to discuss and work out the budget and house spec issues, but we made the decision that it was best to move on. We were pretty devastated by this development, but decided to push forward and seek other options. We solicited information from several well-known companies in the Northeast that specialize in high-performance building including an architectural firm, modular companies, and custom builders. After exploring options, taking into account our budget and builder availability, we narrowed down our choices to quotes from two contractors that had experience with energy-efficient building. The options and quotes from each company were similar. 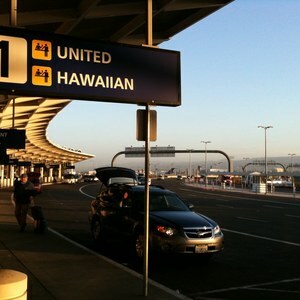 We made a decision and signed a contract in early July 2013. The arrangement was that we would act as general contractors, and that our main subcontractor would handle the slab, framing, sheathing, window installation, door installation, and insulation. In addition, he would provide advice on mechanical choices. We would be responsible for site work, electrical, plumbing, HVAC, roof, siding, and all finish work. 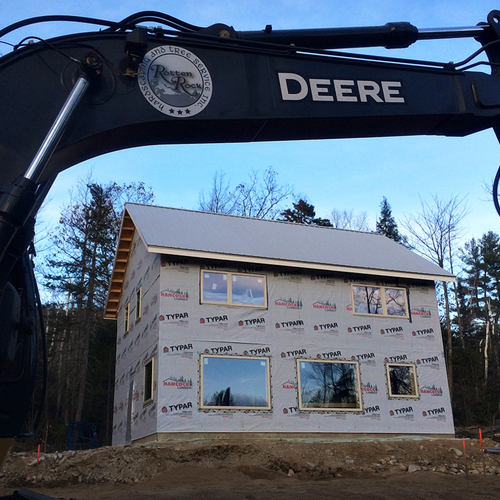 Nearly two months after we were expecting to break ground, we were back on track to have a house built in 2013. 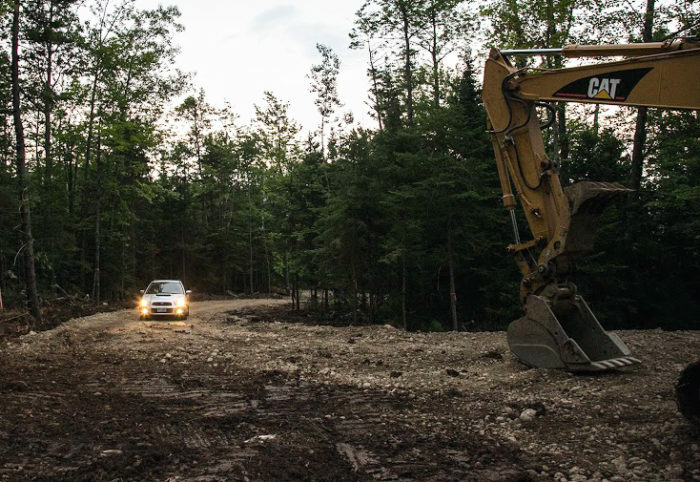 We had spent the past year frequently visiting the lot and slowly clearing trees, so it was pretty shocking to see how much change can happen once a 24-ton excavator was on site. 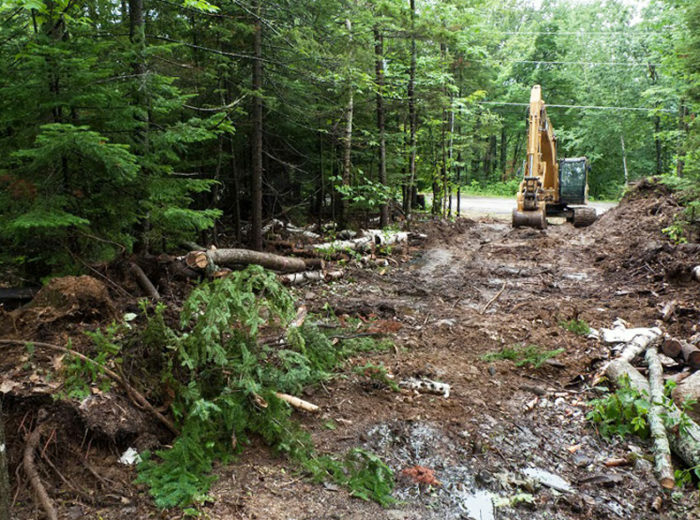 Within just a few days in mid-July 2013, we had a cleared building site and a rough driveway passable by car (see Images #5 and #6, below). This was exciting, but the start of major work was stressful to building novices like ourselves. The initial site work was more expensive than expected and the shallow soil had already started to impact some plans. We were hoping to bury the power lines from the pole at the road to the house, but that wasn’t going to be possible due to the amount of ledge. Work started in early August on foundation prep. I visited the site on a very rainy morning to see lots of activity; trucks of crushed stone were arriving with a small excavator buzzing back and forth to prep for the slab. The heavy rain that morning was actually helpful because it showed some of the water patterns on site; an extra load of crushed stone was brought in to slightly elevate and provide more drainage under the slab. Slab Prep 08-09-2013 from Brian Post. The next layers that needed to be installed before the slab could be poured were a layer of rigid foam insulation and a vapor barrier. 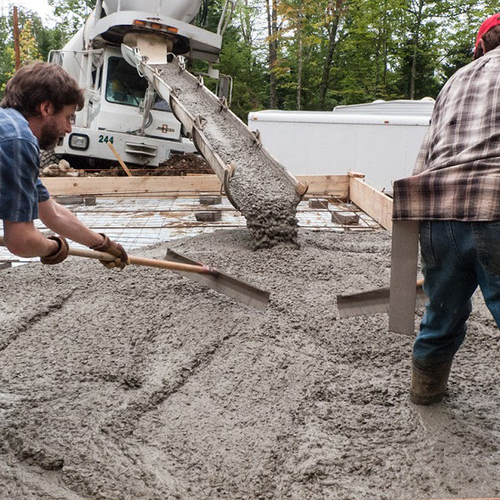 Before that could happen, though, we had to get the plumber and electrician on site to do their sub-slab work. This was scheduled to happen in mid August. 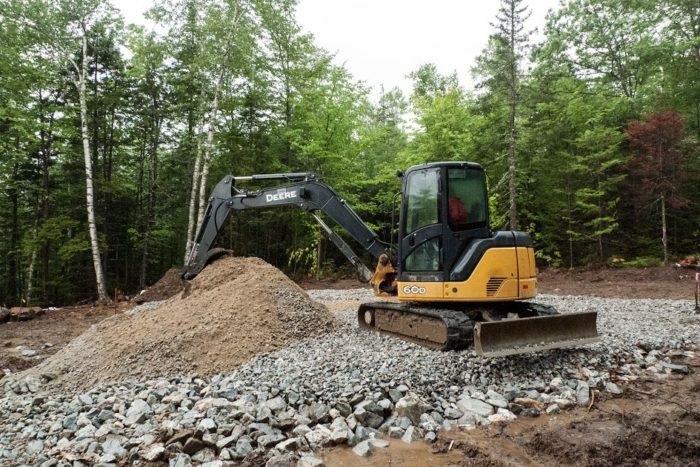 Editor’s note: This is Part 1 of a multi-part blog series on the construction of Brian and Kyra’s home in New Hampshire. Here is a link to Part 2: Pouring the Slab and Framing the Walls. I'm looking forward to this series, especially how your contracting strategy works out.